The Giants are concerned about Pablo Sandoval's physical condition again, because he is visibly heavier than he was a couple of months ago. 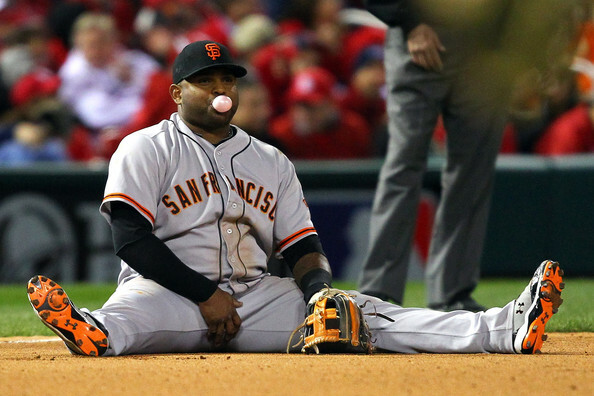 Sandoval does all the work that the team asks him to do, but he seems to offset that exercise with his eating habits. The Giants know better than any team just how good of a hitter Sandoval can be -- they will soon be receiving World Series rings partly because of Sandoval's brilliance at the plate last fall -- but they have just about exhausted their options for helping (i.e., motivating) him to keep his weight in check. Last week, the Giants signed Buster Posey to a record-setting contract that will net him $167 million over the next nine seasons, but they would probably be extremely reluctant to offer Sandoval a multiyear deal, given the unpredictability of his weight issues. As one evaluator noted after watching Sandoval play in recent days, "It's going to be very hard for him to stay healthy and keep from breaking down." The bad news: Knowing Ned Colletti's penchant for obese, underachieving Giants discards (Jason Schmidt, Juan Uribe, etc. ), he'll probably end up as a Dodger in 2014. And there's always time for this gif again! There's always time for cakemakessandovalfallsonhisfatface.gif! OH MY GOD, WHY DON'T YOU START A GIANTS BLOG AND POST THEIR NEWS ON THAT BLOG? I feel better about my day now. Agreed, Alex. We need to launch it into space so that sentient beings millions of light years away can see and understand the enigma that is Kung Fat Panda. I don't hate Kung Fu Panda Sandoval. Should I feel guilty about that? You should hate yourself for not hating KFP, Neeebs. I hate Barry Bonds. Does that count for something? 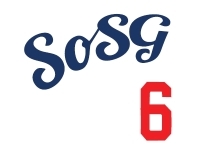 Panda's definitely slipped down the hate scale, what with guys like Pagan, Scutaro, and Posey. Not that he's LIKABLE or anything, but others are stealing his hate thunder. I always thought that Hate Thunder at the Whisky was a dumb band name. @Gnomes, are you sure you weren't watching the thunder down under? He lists his weight on the scoreboard at 240. 240!!! I think that's a solid 60 pound haircut off the real thing.